Can I still eat this sauerkraut? Answer :: It looks like you have two things happening on the top of the sauerkraut. The first is kahm yeast which is harmless but it makes the flavor quite "yeasty". The other issue appears to be mold. This is something you do not want to eat. Both of these things happen with the exposure to air and can be avoided by pressing your sauerkraut under the brine before storage. Also always use clean utensils. Because of the condensation on the container it is difficult to see the sauerkraut that is under the affected area. 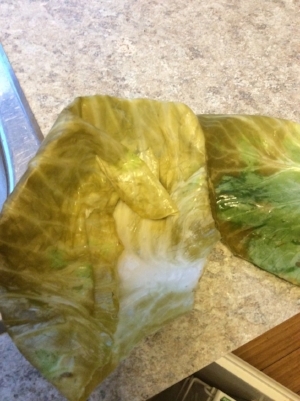 It appears there are air bubbles throughout the kraut. If this is the case the entire batch may have been exposed to air in which case the molds and yeasts can move throughout the kraut. This sadly means it must move on to the compost pile. 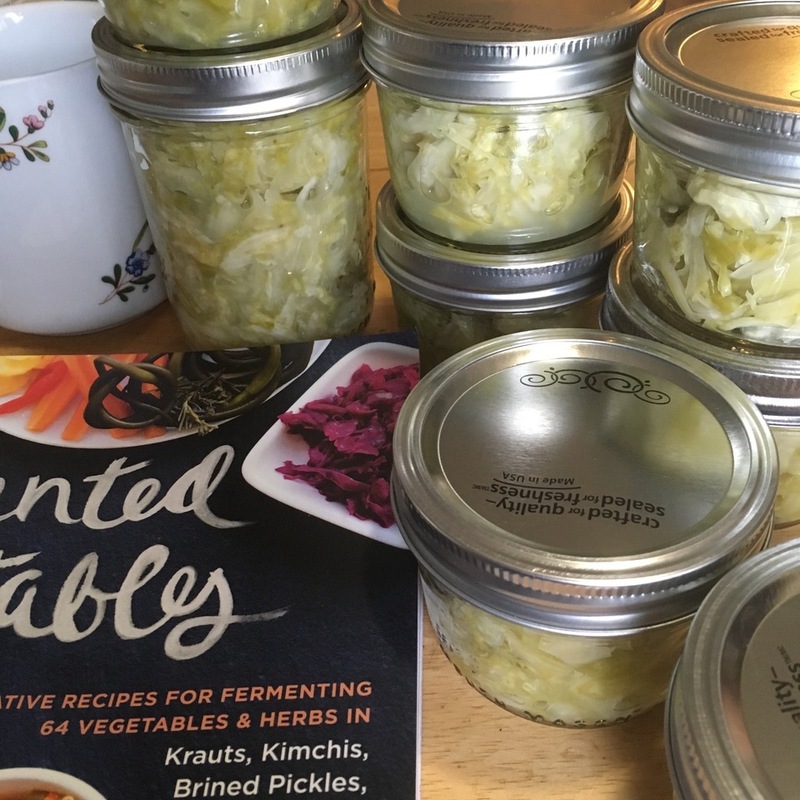 When you are faced with a sauerkraut that has something undesirable on top you do not always need to throw the whole thing away. Often it is just the top layer and maybe the first inch of sauerkraut that must be composted. Everything under the brine is anaerobic and safe to eat. The best thing to understand is if it is bad you will know it is bad. Flavor, color, smell—all your senses will let you know.